REO Speedwagon, Styx and former Eagle Don Felder are once again joining forces this spring for a month-long tour. This is not the first time the trio have shared a bill in one combination or another. In 2014, Styx and Felder went on the road with Foreigner while the current trio played together last year. 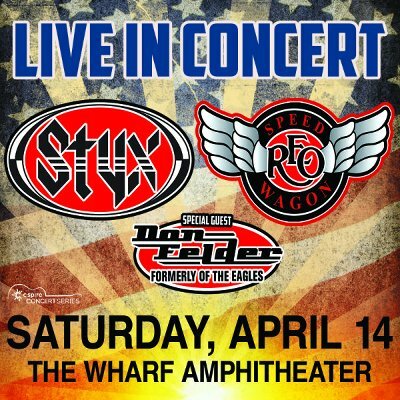 REO's Kevin Cronin said in a statement "We played 25-plus shows with our buddies Styx and Don Felder this past summer, and that was just simply not enough. The 2017 tour was too much fun, and there was so many more places to play. So we are gearing back up for a spring 2018 run. When REO and Styx put our energy together the audience is the big winner."